Ever since paying off all my student loans and auto loan in October, I’ve had an additional $1200 per month un-allocated in my budget that I've been meaning to start investing. Since I already have my Traditional TSP scheduled to be maxed out for 2016 (29% of 4 year O-3 pay, $1533 per month, $18398 by year’s end), and our Vanguard Traditional IRAs are scheduled to be maxed out by year’s end, it’s time to start thinking about contributing to a taxable investment account. 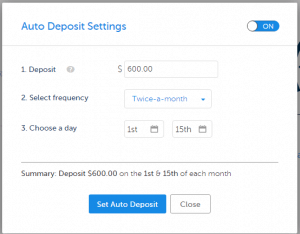 After looking at my options to invest beyond the TSP and my Vanguard IRAs, I decided Betterment was the best place to start investing my extra money every month. In an effort to bring more transparency to my website, I’ll note here that if you sign up with Betterment through one of my links on my site, I’ll receive a small commission for sending you to them as a client. The commission ranges from $28.50-$140, depending on how much money you open your account with. These commissions aren’t enough to live on (yet! ), but they do present a potential conflict of interest. Please know I would be recommending Betterment whether I was compensated or not. I only recommend products and services that I personally use, even if I don’t have an affiliate or advertising relationship with the company (for instance Vanguard, the TSP, etc.). I have been personally using Betterment for over 6 months now and recommend it to close friends and family, not just my internet readers. The best way I know to save and invest is to do it automatically. Decision fatigue is a real problem for many people, especially when it comes to finances and investing. Make just one decision at the beginning of the year (setting up automatic deposits) and reap the benefits for the rest of your life. Since I opened my Betterment account, I’ve contributed over $3000 to it. My returns haven’t been great due to the volatility in the market, but that just means I’m buying lots of great stocks on sale! Here’s my performance below. I’m down about 8% on the account right now, but that’s not very important because I’ve only had the account opened since November. Betterment meets all of these criteria. While the investment portfolio is bit complex for my tastes (10 total stock or bond ETFs), it is based on research and back-tested on available data. It's also incredibly easy to maintain: once you set your stock/bond ratio, there are no other inputs required from the investor. Betterment's algorithm takes care of everything in the background. 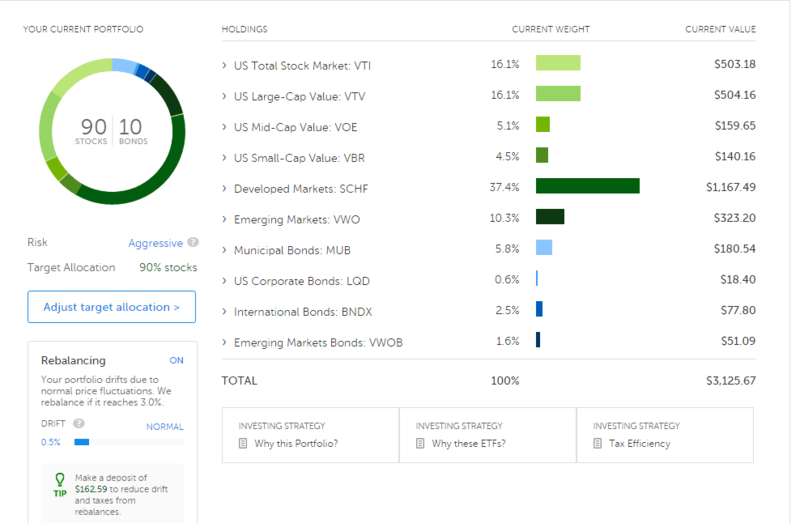 The Betterment portfolio is much more invested in international stocks than I generally advise or personally like, which can be uncomfortable for me because I am very US biased. I should probably just get with the times though, as even Vanguard bumped its Target Retirement fund allocation from 30% international stocks to 40% international for new funds coming online after 2015. Even though the portfolio is complex, the simplicity of Betterment is beautiful to behold. You simply select the stock/bond ratio that you prefer. Right now I’m doing a 90% stock, 10% bond ratio. I want the most upside potential and don't mind sharp down swings. This is also the asset allocation I have across all of my accounts. You can take quizzes on their site or speak to a financial adviser on what ratio is right for you. If you’re not yet retired, you’ll probably want at least 60% stock, 40% bond, but that’s for you to research on your own. While the TSP and Vanguard still win when it comes to the lowest investment fees available, Betterment is winning the robo-advisor investment fee game. 0.15% on a $100,000+ account ($150 per $100,000 invested). These fees are definitely more than the 0.0029% that TSP investors can get ($29 per $100,000 invested) or Vanguard clients 0.005% ($50 per $100,000 invested), but I believe the services offered by Betterment are worth paying for, even as a DIY investor. In particular, the Tax Loss Harvesting+ is the feature I’m most interested in using in my taxable portfolio. That's why I use Betterment for my taxable investment account, after maxing out my tax advantaged accounts like the TSP, IRAs, and SEP IRAs. The automated rebalancing, global diversification, and risk adjusted portfolio building that you get with Betterment more than makes up for the fee. Betterment does all the boring, inane tasks that used to take investor's hours to do and prevented them from doing more productive tasks. I think that just for the time Betterment gives back to you it’s worth paying a few more basis points for, at least for my taxable investment account. After a great question from a reader, I'm re-evaluating the Tax Loss Harvesting+ feature at Betterment. I still have my taxable account there for the reason's I list above, but I have to investigate the “wash sale rule” more in depth. The wash sale rule is an IRS rule that you cannot simply repurchase a “substantially identical” (see Kitces article) ETF or mutual fund within 30 days before or after selling the ETF or mutual fund. Because Betterment invests in Vanguard index funds and the TSP also tracks several similar funds to Betterment's ETFs, I've decided to put my TLH+ feature on hold until I can puzzle this out. I'll let you know the results of my research in a future post. In the mean time, I do not advise enabling the TLH+ feature on Betterment if you are investing in the TSP regularly. A military investor should always prioritize the TSP first, then IRAs (Roth or Traditional, and probably at Vanguard), then taxable investment accounts. The biggest selling point for me to start using Betterment is their Tax Loss Harvesting+ feature. (I'm not the only one moving my money to Betterment because of this feature.) This is an incredibly complex bit of financial, investment, and tax code wizardry that they have automated and made completely transparent to the average investor. This is an investment and tax strategy millionaire and billionaire investors used to pay thousands of dollars to teams of tax attorneys and brokers to do for them. Now, thanks to technological and American ingenuity, you can access this same advanced tax strategy for free in your Betterment account. Basically TLH+ sells a security in your portfolio that has declined in value and buys a different security that has similar attributes. For instance you might sell VTI, Vanguard Total Stock Market Fund, the 3700 publicly traded companies in the US, and buy SCHB, Schwab US Broad Market Fund with 2500 US companies. Why would you do this? Because capital losses can be claimed on your tax return and decrease your capital gains or ordinary income. Most married filing jointly couples are eligible to claim $3000 of capital losses, which reduces your tax bill and let's you invest more of your money earlier in your life. This should help you reach financial freedom sooner. Betterment estimates that using their TLH+ software can increase your taxable investment account returns by 0.77%, which more than makes up for their expense ratio. This is what ultimately convinced me to move my taxable investment account to Betterment. The only choice you can make in Betterment is the type of account you want and the percentage of stocks and bonds you want. I think it would be interesting if they allowed automated investing into a user defined portfolio. I’m a DIY investor, so I like being able to set my own asset allocation. However, this is a minor complaint and could actually be seen as a benefit for new, uninterested, or strapped for time investors. Most of investment losses are due to investors not diversifying or trying to time the market. Betterment takes these factors out of the equation and lets you invest dispassionately. Another thing about Betterment I don’t like is that it’s still a new company. Unlike some other financial services companies like Vanguard that have been around for 40 years or other firms that have been around for hundreds of years, we don’t have a lot of corporate history with Betterment. It may be bought up by one of the larger financial services company and we may see an increase in prices or a decrease in services. Again though, being a new company may not be such a bad thing. New companies are driven to innovate to compete in a crowded market. With other firms like Wealthfront, FutureAdvisor, and Personal Capital (where I track my net worth) all competing for your investment dollars, we have probably just seen the beginning of a financial and technological revolution for smaller investors. Investment costs could eventually come down as Betterment grows and can leverage economies of scale. I’m excited to be one of the first 100,000 clients of Betterment and expect them to grow to more than half a million clients within a few years. 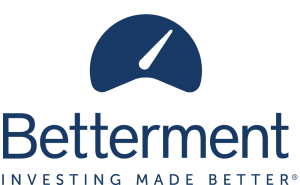 If you are looking for a simple, low cost, automatically diversified investment vehicle for your IRAs and taxable investments, take a look at Betterment. You can read my first review here. ← Survivor Benefit Plan – What Does it Mean to Me?